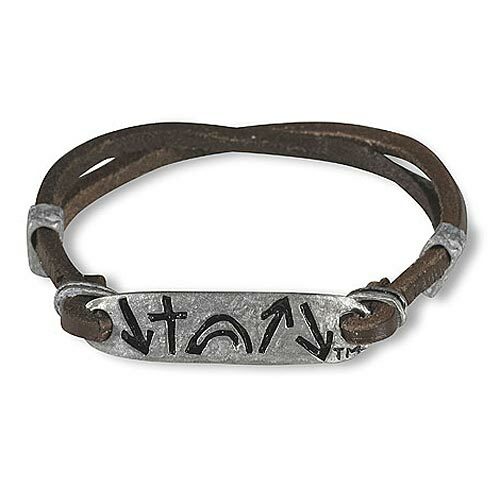 Be a witness to your neighbor with this Witness Slider Bracelet. A modern, Leather and Metal Plate bracelet that retains the natural look and feel consistent with the entire Witness line. The unique symbols always make for a great conversation starter! The Witness Collection is a comprehensive product line developed around five simple symbols portraying the story of Jesus Christ and how He Came...He Died...He Arose...He Ascended...He's Coming Back. This depiction not only cuts through denominational barriers but it is also appeals cross-culturally.